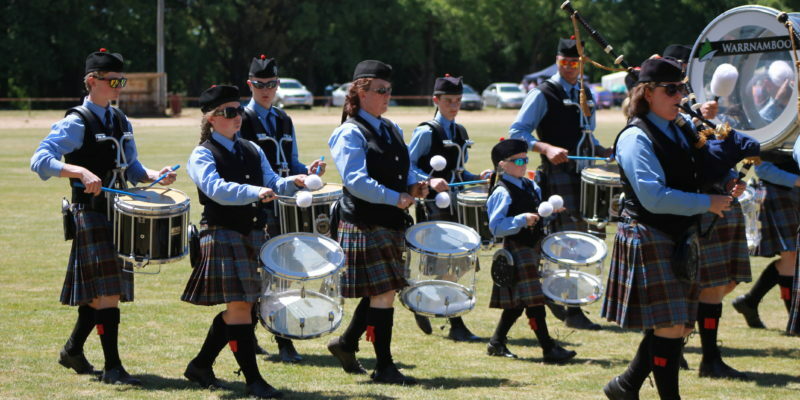 Join the friends of the Warrnambool & District Pipes & Drums Inc. The friends of WADPADI are very special people to us. By becoming a friend, your generous donation contributes to the enormous expenses involved in the ongoing development of the band, its members and the culture within the region. If you wish to assist the band and become a friend, please forward your donation to The Secretary, PO Box 618, Warrnambool, 3280. The Pipe Major fills a role akin to Musical Director in other musical organisations. Donald Blair has been Pipe Major of WADPADI for over twenty years and has been extremely prominent in tutoring many quality solo pipers as well as successfully competing with the band throughout Australia at the highest level. Donald has led the band to two Australian Champion titles, numerous State titles, and in 2004, successfully led the band to win the Royal New Zealand Pipe Band Association Grade 3 National Championship. He is always striving to encourage and develop young players and present a quality performance focusing on exciting and challenging music. Donald was an early recipient of the Sir Rupert Hamer award which he received from the Victorian Highland Pipe Band Association in 1995 for service to the Victorian Piping and Drumming community. Donald is assisted by Pipe Sergeant Tim McLeod and Drum Sergeant Peter Moir. For further enquiries, phone Donald Blair on 03 5567 6273.